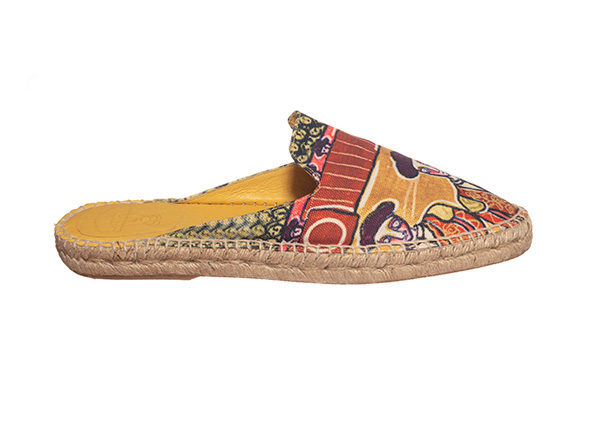 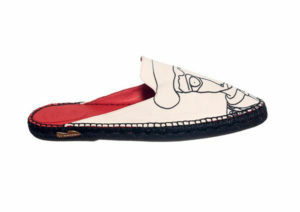 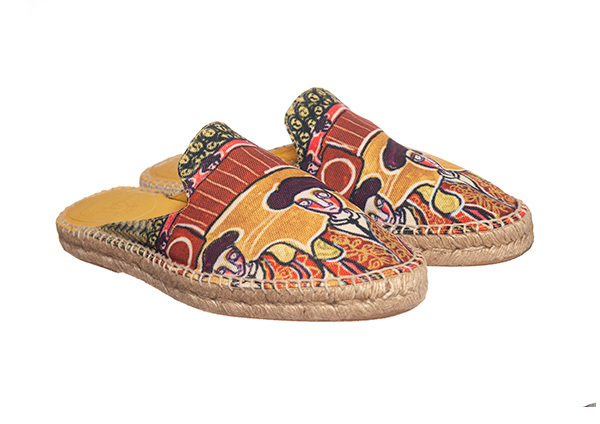 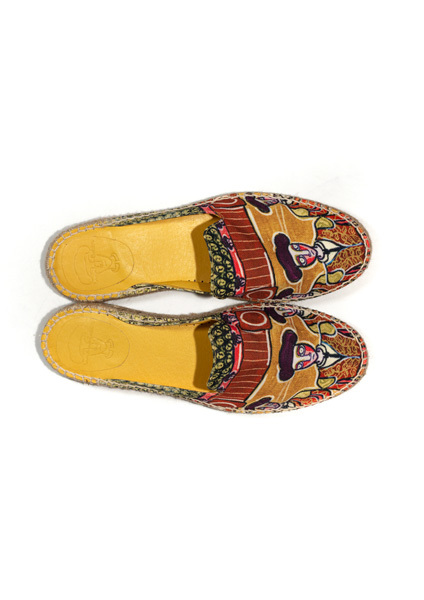 Men espadrille mule made with printed cotton fabric and leather interior. 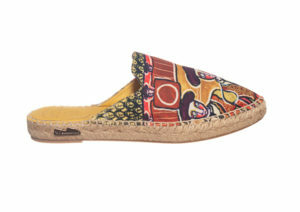 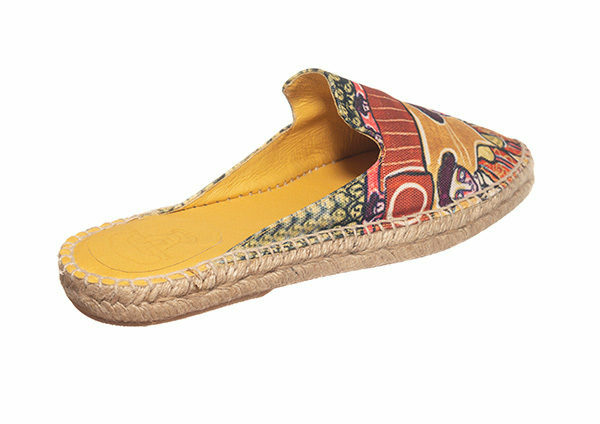 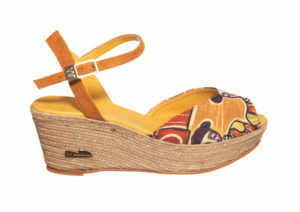 Jute-wrapped midsole with bullfighting motifs in terra cotta shades. 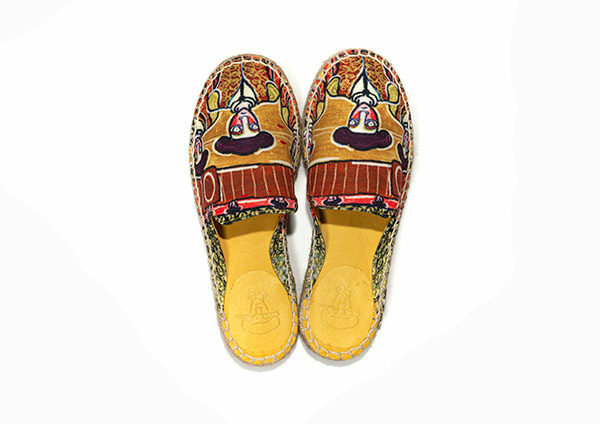 The creativity of both worlds has managed to capture one of the most recognizable hallmarks of our country.